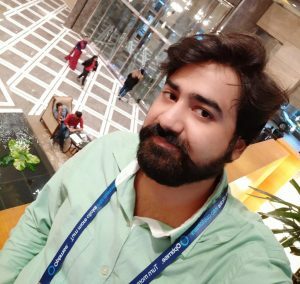 Hello friends, Today I will share a method on how to create a shared calendar in Outlook. Users can keep a track record of their employee using Outlook. You can create a calendar in Outlook and later share it with all the employee of your company. You can keep a track record of the work they do. All the people in the group can access this same Outlook calendar. If you want to track a record of your employees using a calendar in outlook, then you are the perfect place. Learning how to create a shared calendar in Outlook is a simple technique to track the day to day work done by your employees. Outlook is a most popular service that everyone uses in today’s world. This makes a company easy to trace system to keep monitoring the working of the employees. We are going to explore the same thing that how we can do so in today’s post. Hey one more thing, if you have mistakenly deleted any items from Outlook. Then you can recover deleted items from outlook. 1 What is a Shared Calendar in Outlook? What is a Shared Calendar in Outlook? It is a frequently asked question that what is a shared calendar in Outlook. What shared calendar in outlook is refect by the terms ‘shared’. A calendar that is used to put in a team or a group to point out the thing that has been done on a specific date is monitored using a shared calendar. In simple words, by making a shared calendar, a company is used to figure out the tasks which every employee has done on a specific date. So, I hope now you have got the direct answer to your asked question. Sometimes you make have encountered a problem in Outlook not receiving emails automatically. For that, you can read the article on our website. To know about how to create a shared calendar in Outlook, you have to do two things separately. First, you have to do is that create a calendar on outlook. Secondly, you have to make that calendar in a shared form, or you can say that you have to share that calendar with your colleagues. In this section of the article, we are going to check that how we can create a calendar in outlook. After that, we will explore the details about how to make that calendar as a shared calendar. Open Outlook on your PC/laptop. Click on the Calendar option under the navigation panel. Now, click the Home button. Then, click on Open Calendar. After that, click Create New Blank Calendar option. Give the name for the calendar and also your email address. This paragraph is all about how to share your outlook calendar with the person whom you want to share it. I have shared a simple and straightforward method to do that. You can say that this is the final stage of learning how to create a shared calendar in Outlook. Once you have created a calendar then you can proceed to share that calendar with your employees and colleagues. Not even that, this is the one and official way to share your created calendar in outlook. So, let’s get started to the method right now. On the Outlook app click on the Calendar option. Right click on the calendar and click the Share button. Now, click on Calendar Permissions. Select the user with whom you want to share the calendar. Again click on Add button and click on OK.
Also, click the Folder Visible option and click OK.
Lastly, click on the Apply button. 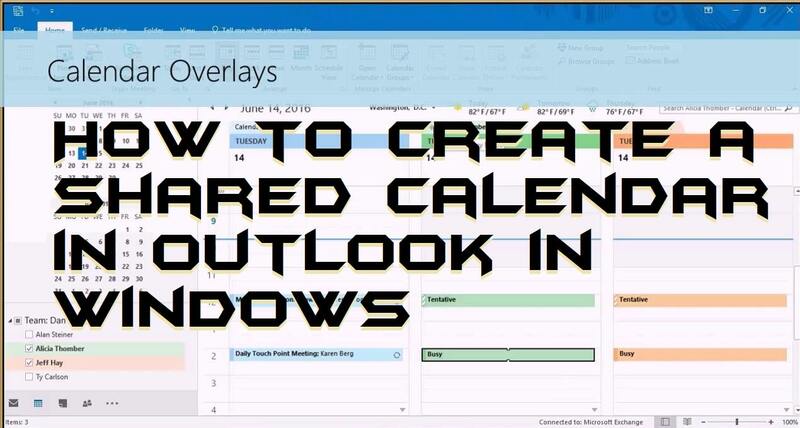 We have seen that how to create a calendar in outlook as well as how to share that calendar in outlook too. This was the official way to do both the things. I hope now you can create a shared calendar in Outlook. Make sure that you share this article with your friends and family member who need to know how to create a shared calendar in Outlook.